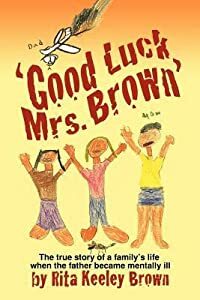 GOOD LUCK, MRS. BROWN by Rita Keeley Brown ...Things were going along so well, then all of a sudden, it's some kind of Hell! The wrap-around cover of the book is a drawing of the family done by the youngest child at the age of eight. This drawing and the above lines from a poem in the book describe the confusion and fear as mental illness took over the beautiful mind of the father of the family. Good Luck, Mrs. Brown tells of a seldom understood or discussed side of mental illness - the impact it has on the family of the person who is ill. 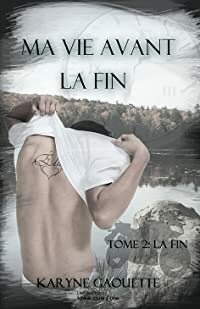 It is a unique personal account of seven people of varying ages living through the same crisis situation. This book, although written by the mother, includes writings by the children as adults reflecting on their experience of their childhood. These reflections give great insight into what life was like for them and in their own words. The Introduction in Good Luck, Mrs. Brown explains, "This is about the one thing I thought I could never survive - the break-up of my marriage and raising my children without a father. 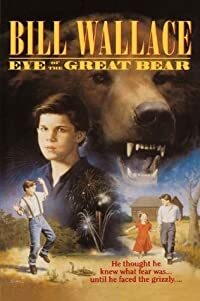 This may sound rather harsh and perhaps not very pleasant reading, but through it all there was a lot of love, humor, growth and tap dancing. (The tap dancing came in surviving the day until I could figure out what more sweeping steps I could take.)" The reader will feel a strong sense of family throughout the book. A large family provides by its very nature end opportunities for humor and challenge. There are innumerable slices of life with which most everyone can identify. A gamut of stories, both happy and sad, will resonate with readers either through something they may have experienced or about which they may be concerned. There are stories of family events and childhood experiences with which most people can relate. This book gives hope to anyone feeling the isolation a crisis brings. They will draw strength from this story of a family who faced the crisis and came through it well. A college student who had suffered mental illness and is now stable asked if she could read a copy of the manuscript of the book. 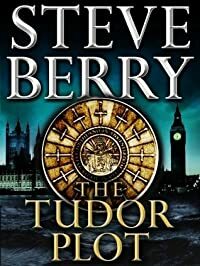 Her comments were as follows: "This book needs to be published because of its honesty. Up to this point, I've only read autobiographies or medical analyses of mental disorders. The book helped me understand what my parents went through when I was ill and un-medicated. I've just never heard a first hand experience from others involved and how it affects them...it has been an incredible help to me...I talk about it all the time with my friends." 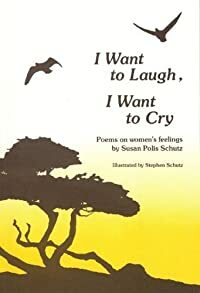 I Want to Laugh, I Want to Cry: Poems on Women's Feelings.